The first of 2 race days this Memorial Day Weekend is upon us. 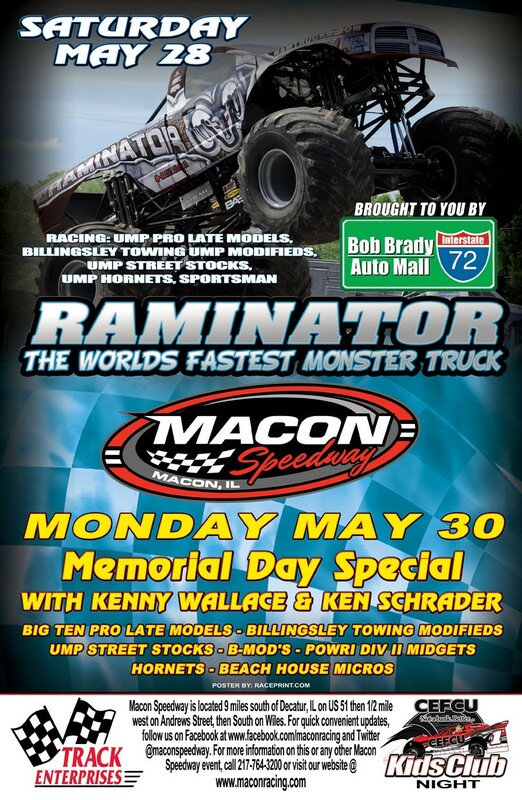 Tonight is an action packed program featuring a visit by the WORLD’S FASTEST MONSTER TRUCK Raminator presented by Bob Brady Auto Mall. There is a MASSIVE bike giveaway for the kids in addition to the usualCEFCU Kids Club Activities.